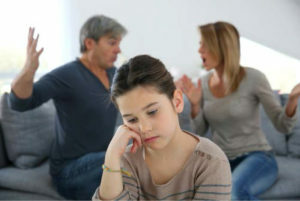 The Law Office of Patricia A. Sokolich is dedicated to providing Family Law Services to mediate and settle disputes in a way that serves the best interests of our clients. We strive to provide the highest level of understanding and advocacy, and we do so in a manner that is rooted in a firm commitment to integrity. With nearly 25 years in private legal practice, Patricia A. Sokolich has a well-established history of proven success serving the people of Long lsland, New York. Not only does she offer innovative legal solutions, she also has a reputation for being a champion of the rights of women and children; ensuring they thrive independently while maintaining their dignity, integrity, safety and well-being. The Law Office of Patricia A. Sokolich is a boutique firm, catering to sensitive matters with an unparalleled level of discretion and competence. We work hard to earn the highest level of trust, which has resulted in a loyal following of clients who return to us for legal counsel in times of need. We understand that legal matters are never easy. We will work toward a positive outcome during one of the most difficult times in your life. If you are looking for representation that exceeds your expectations, contact the Law Office of Patricia A. Sokolich today.